Agave is the sort of plants from the family of Agavaceae, numbering more than three hundred types. An area of their wild dwelling — Central America (is more exact: present Mexico and adjacent countries). Soon after opening of the New World the agave appeared in Old. Rough fabrics, ropes, ropes (natural fiber for their production receive from leaves of the Agave, a brown paper (from waste), and also strong drinks — a pool (from sugary juice of the Agave dark green, collected before its blossoming, fortress from 6 to 18%), mescal and the well-known tequila are most known. 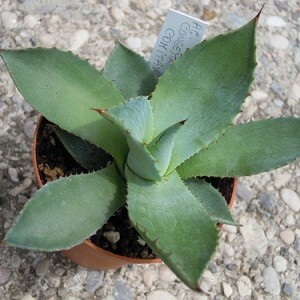 But as original room and hothouse plants it is accepted to part, of course, absolutely other types: An agave American (Agave americana), to Agabus delayed (Agave attenuata), to Agabus of Queen Victoria (Agave victoriae-reginae), to Agabus nitenosny (Agave filifera). Agave. Agave species and sorts. Garden encyclopedia.